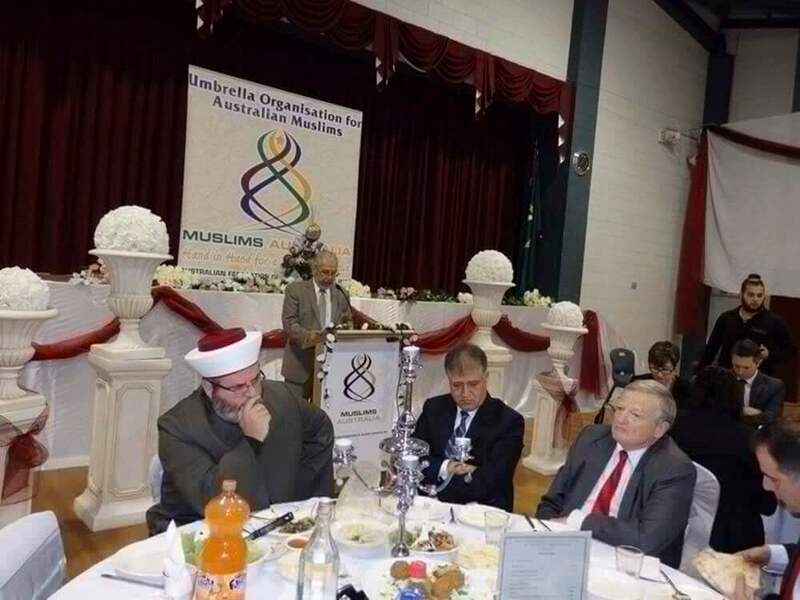 The 14th IFEW Presentation dinner was held on Sunday 18 November at Dar-ul-Islam, Bonnyrigg joined by representatives from three Muslim sister organisations in addition to members of the IFEW, MEFF and Seena Incorporated. 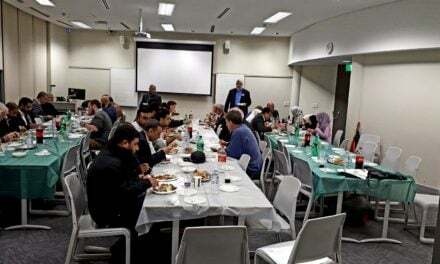 The presentation dinners are held in a family atmosphere during Australian Integrated Family’s (AIF) Usrah sessions that have continued for more than 36 years. 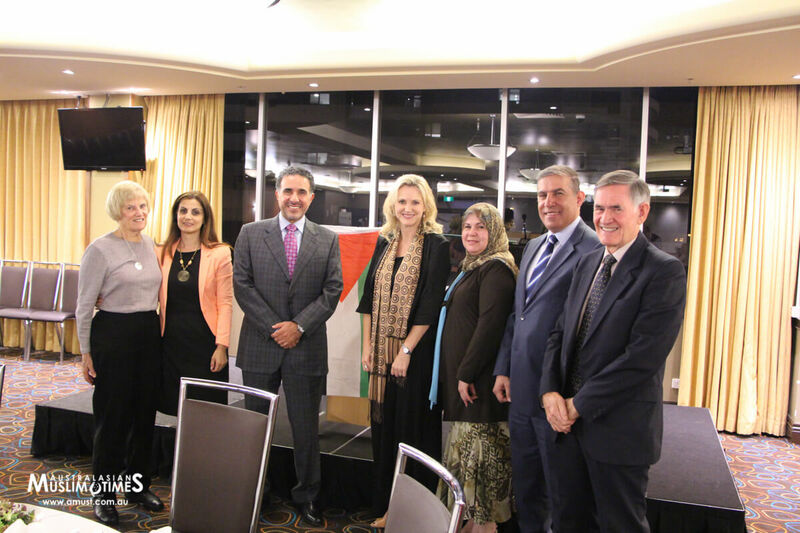 Held twice a year, short presentations are given by IFEW, MEFF and Seena Inc/AMUST followed by presentations from invitees to relate about their organisations and personal history, and then finish off with dinner in a casual family atmosphere. 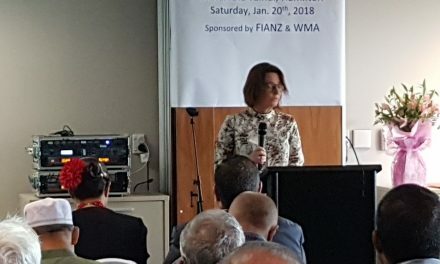 The program started with an audio-visual presentation by Sakinah Ahmad, the current President of IFEW who gave a detail introduction of Australian Integrated family’s background, its history covering almost five decades, the establishment of IFEW and its various offshoots and the pioneering services that it rendered to the community during half a century. Ms Robina Yasmin talked about her role in working and volunteering to provide disability services, assisting the elderly and women in domestic violence. 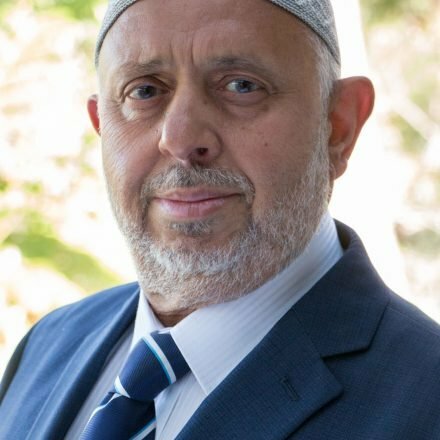 She is currently on a number of organisational boards namely Multicultural Disability Advocacy Association of NSW (MDAA), NSW council member for National Ethnic Disability Alliance (NEDA), Advisory Council member for Settlement Services International (SSI) as well as other community organisations such as SAMAA. “My current focus is on a project that I am very passionate about and that is ‘Australian Humanities Organisation’. It is a Not-For-Profit organisation providing assistance to women in domestic violence by providing counselling and referral services to assist women in understanding and navigating their way in the Australian System,” Ms Yasmin said. 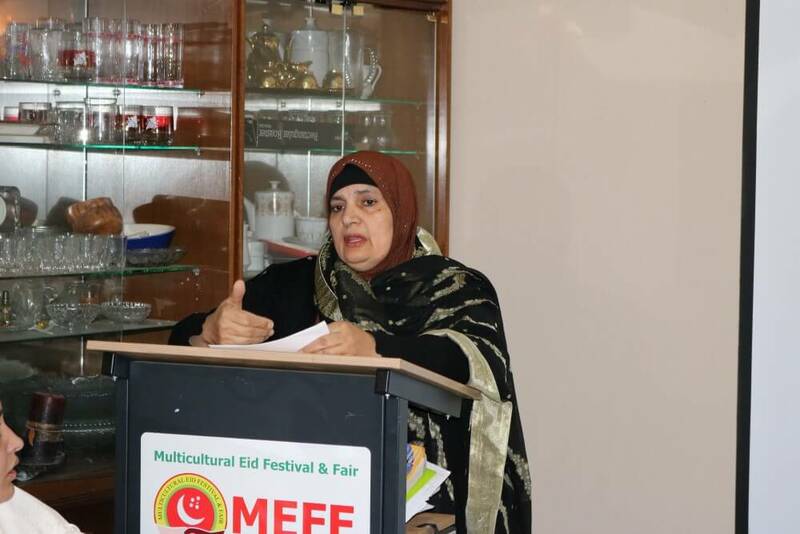 Mr Aamir Ahmad, Vice President of MEFF presented a detailed track record of successfully holding the Multicultural festival for almost 35 years and elaborated on the planning for MEFF 2018. SAMAA has nearly 180 registered elders and 140 volunteers. Many elders are beneficiaries of regular volunteering services from SAMAA. 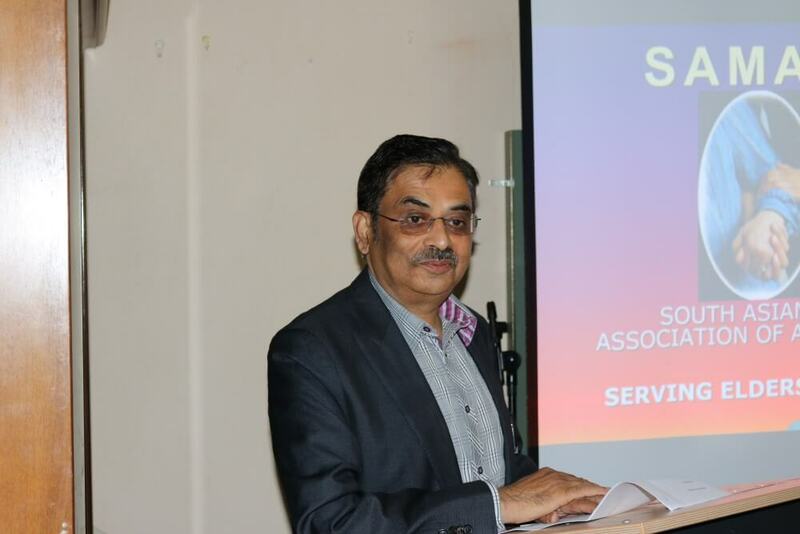 Nearly 400 seniors had attended SAMAA-Care Connect workshops in various areas of Sydney. SAMAA is a Public Benevolent Institution with Tax Concession Charity and Deductible Gift. Donations to SAMAA are tax deductible. A video showcasing the representation of SAMAA organisation prepared for Jashne-Buzurg 2018 by Mr Abbas Zaheer was shown at the event. 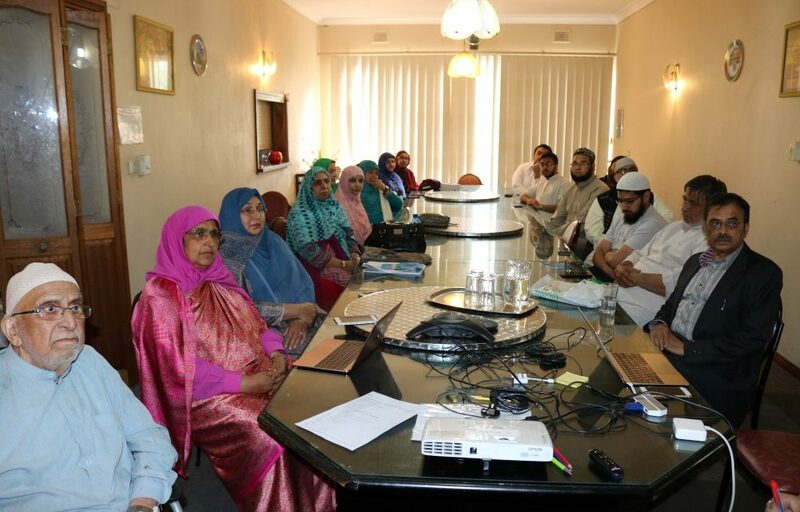 Mr Zia Ahmad in his capacity as Incharge of Media Committee of Indian Crescent Society of Australia (ICSOA) talked about the need of Muslims of Indian origin in Australia to be organised on one platform and render community services as well as to be concerned regarding the issues the Muslim minority is facing in their home country. Mrs Mehar Ahmad, President of Seena Incorporated, publishers of AMUST showcasing AMUST website talked of its prime activity of publishing the newspaper on multimedia platforms and announced various awards AMUST team has received in 2018. Mrs Ahmad said that Seena will be diversifying its activities in other areas as well including disability services, women empowerment and training in technology. Dr Qazi Ashfaq Ahmad concluded the program with advice and dua before the dinner was served. The program ended after Maghreb prayers.